And what better way to spend an afternoon than weeding? 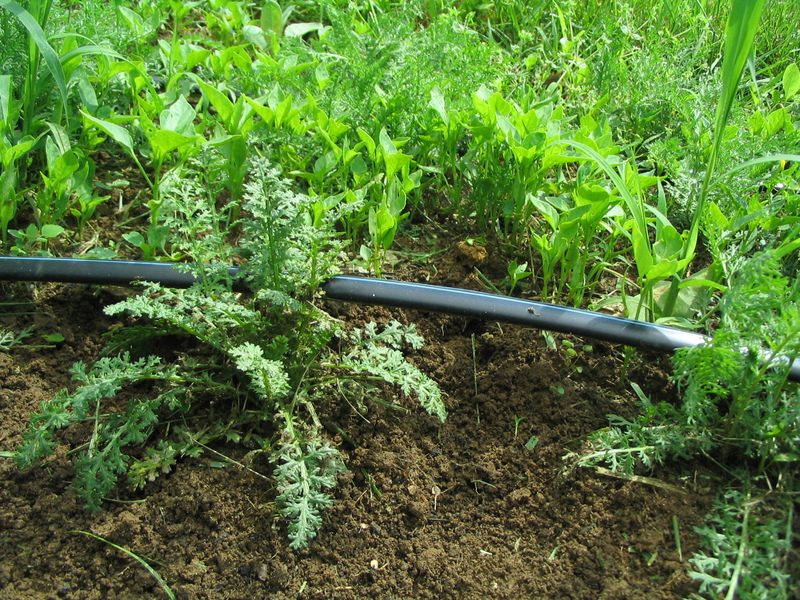 The new yarrow planting needed some attention: a 45′ long bed of yarrow plants, started from seed in early spring. 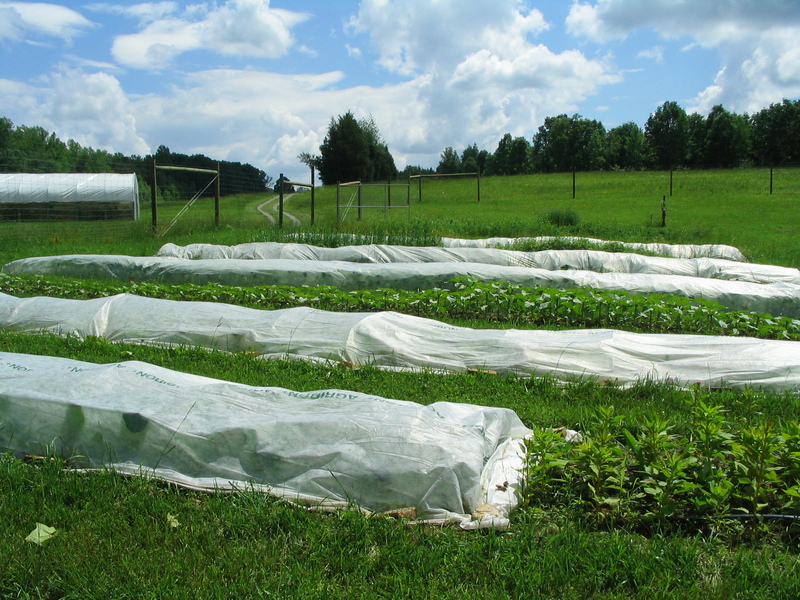 Most of the weeds in the bed are little jalapeno and padron pepper seedlings. 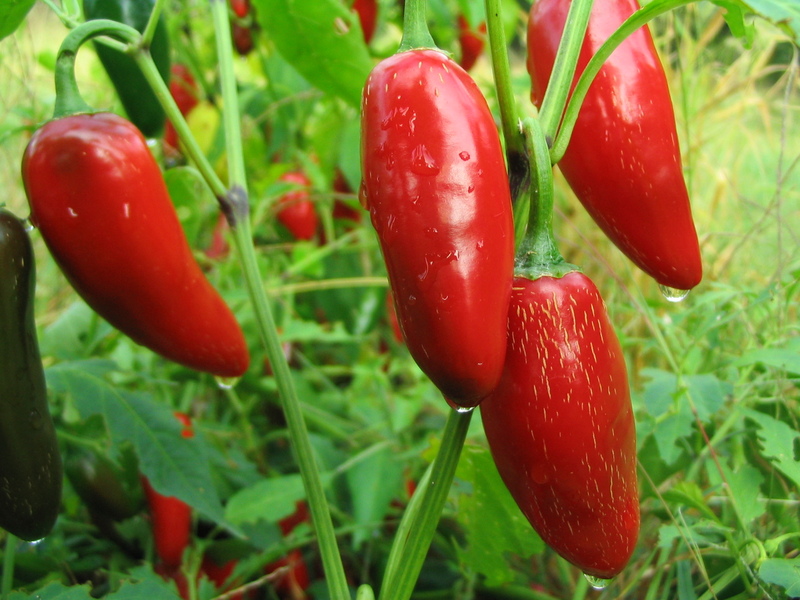 We grew them in this bed last year, and let the peppers stay on the plants until they were dry. Then they were tilled under, and are now sprouting. Here they are, the seedy culprits. Spending hours bent over a wet mucky bed weeding: my idea of a good time. 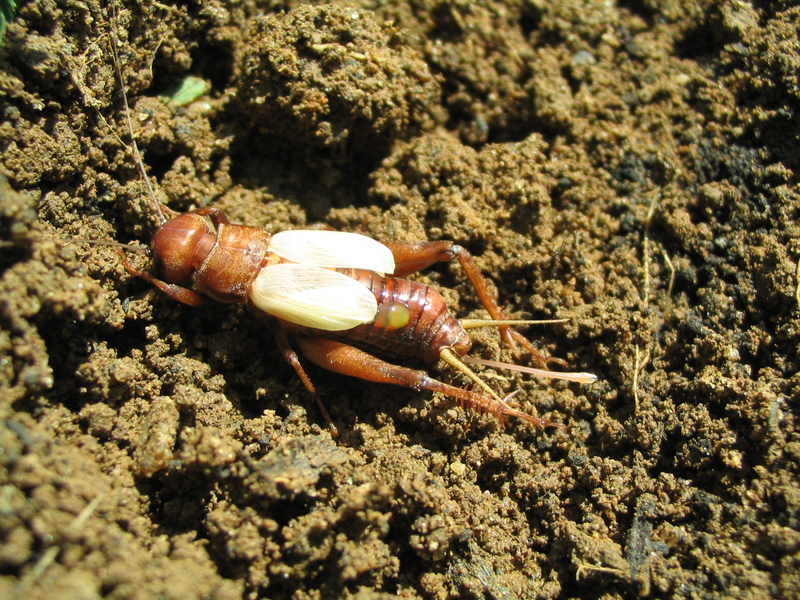 An odd-looking cricket I saw. 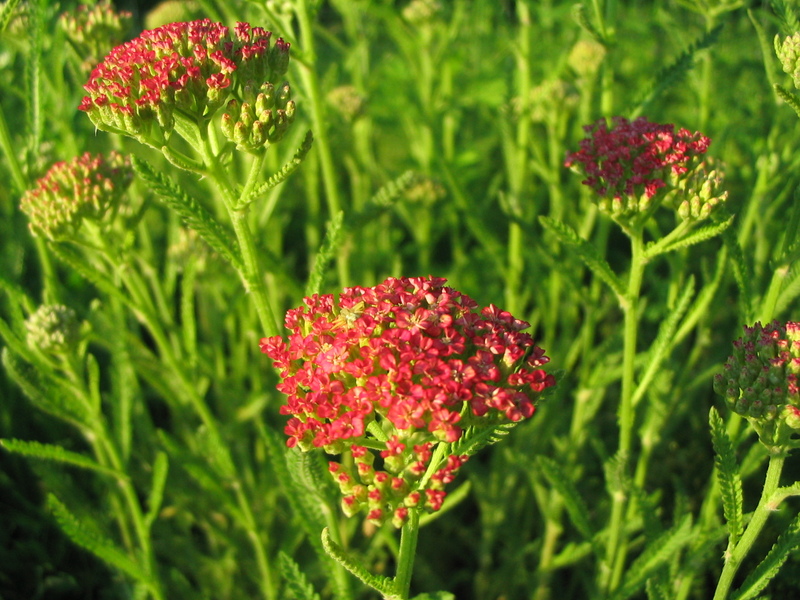 The yarrow from last year are starting to bloom now. 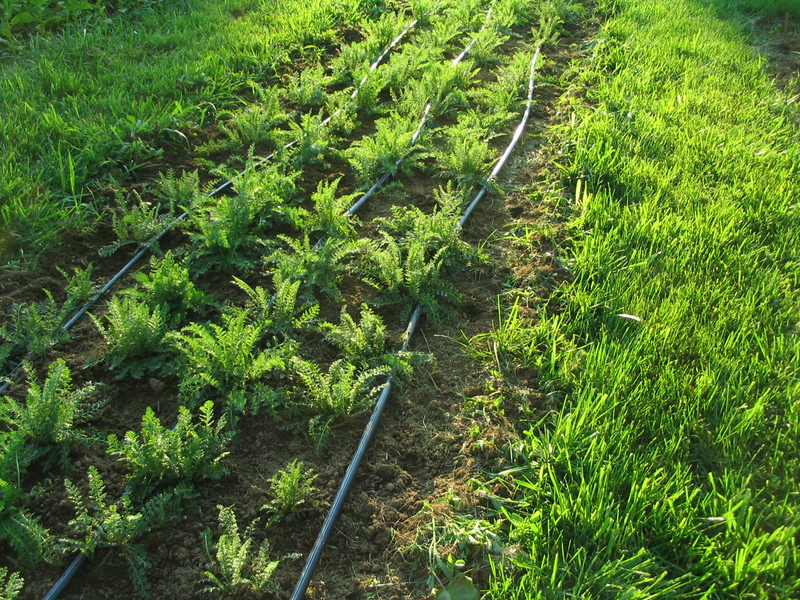 Hopefully the new yarrow planting will bloom a little later in the summer.